cozy, comfortable and modern decorated , promises to give you a unique unforgettable experience. 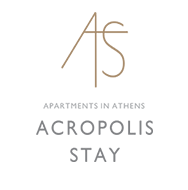 Just a few meters from the Acropolis and the new Museum and very close to Plaka and Syntagma Square, you will have the opportunity to enjoy a unique hospitality experience. 10 of our beautiful and comfortable rooms are designed, each with a distinctive style to meet your daily needs and to offer you a pleasant stay.